Making Custom quilts has got to be one of my favorite things of all time! Oftentimes, I have an idea for a quilt, but don't have enough time to make the quilt. So when a customer requests a certain style, color, or applique I am always so happy to give it a go. 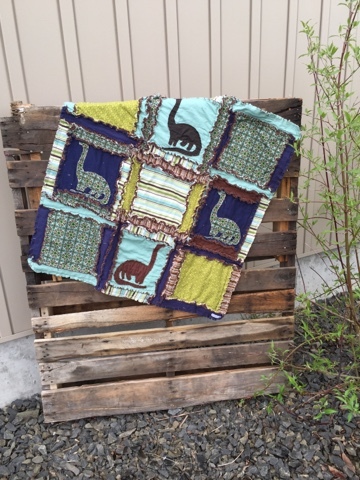 That is exactly what happened with this dinosaur rag quilt. 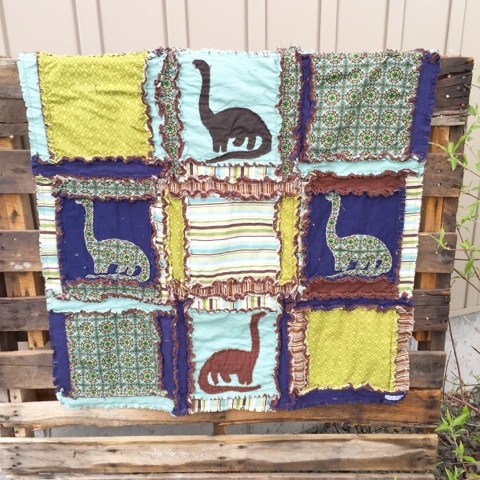 The customer saw a rag quilt that had sailboats on it, but she wanted the same color just dinosaurs instead. So this is the quilt that we came up with.. It is a smaller baby size rag quilt (measuring about 33x33 inches square). 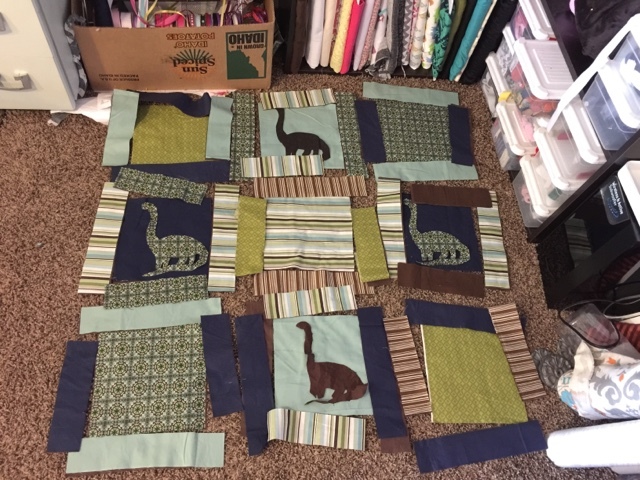 The dinosaur appliques have been raw edge stitched onto the squares to create more fraying effect, similar to the ragged edges of each of the squares and rectangles. This is the picture that I sent the customer before I sewed up the quilt. I always send an email with a picture of the quilt laid out before I sew it. That way the customer has a chance to make any changes that they want regarding color, placement, and types of fabrics. 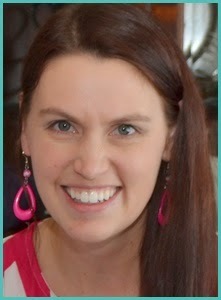 I love that I am able to involve the customer with every step of the process. To purchase your own custom dinosaur rag quilt please go to my shop. As always, if there is something that you would like changed, I can definitely work with you to get the quilt that you would like!